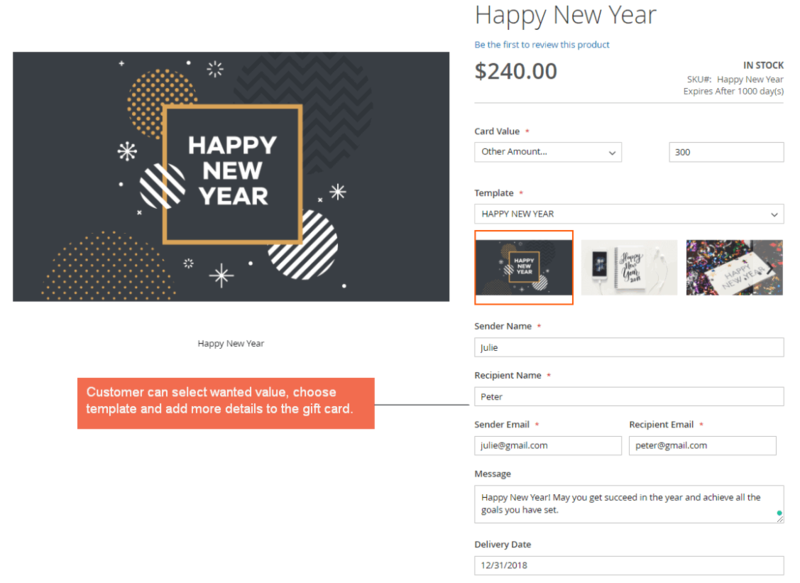 Magento 2 Gift Card extension allows store owners to create gift cards for customers to purchase and give their acquaintances as a present on special occasions. Customers now prefer giving gift cards as alternative presents to their relatives, friends or acquaintances on special occasions such as birthdays, Christmas, New Year, and so on. The reason is that selecting a suitable and matched gift with people has become more and more difficult than ever when we don’t surely know their favorite or wanted presents. Hence, creating gift cards with real values seems to be a very good idea to replace physical presents. In the frontend gift card product page, customers can select (enter) gift card value, select gift certificate image, define sender name and email, recipient name and email, edit the attached message, choose specific time and time zone to send the gift card. After configuration, they are allowed to preview the gift card that has been just customized. Once a buyer successfully orders a gift card, an automatic email along with gift card outcome will be sent to the purchaser to confirm the order and another one to the recipient. The email sent to recipients includes information of a message, a gift code and expiry day. 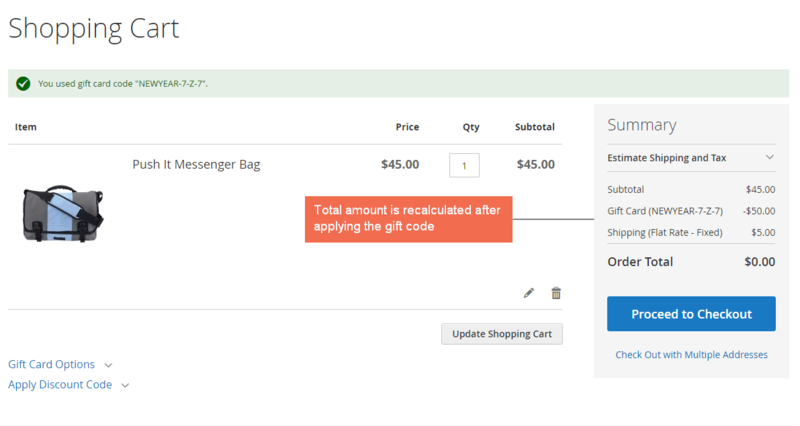 Magento 2 Gift Card extension also notifies recipients when a gift code has been expired. When recipients receive gift codes from senders sent via emails or post office, they can use these codes in the shopping cart page or checkout page to purchase other products. Just by adding given gift codes in the Gift Card Options, check status to know its value or usage situation, then Apply to get discount in the total amount. Magento 2 Gift Voucher is a new product type. Hence, you can create gift cards to sell like other product types. 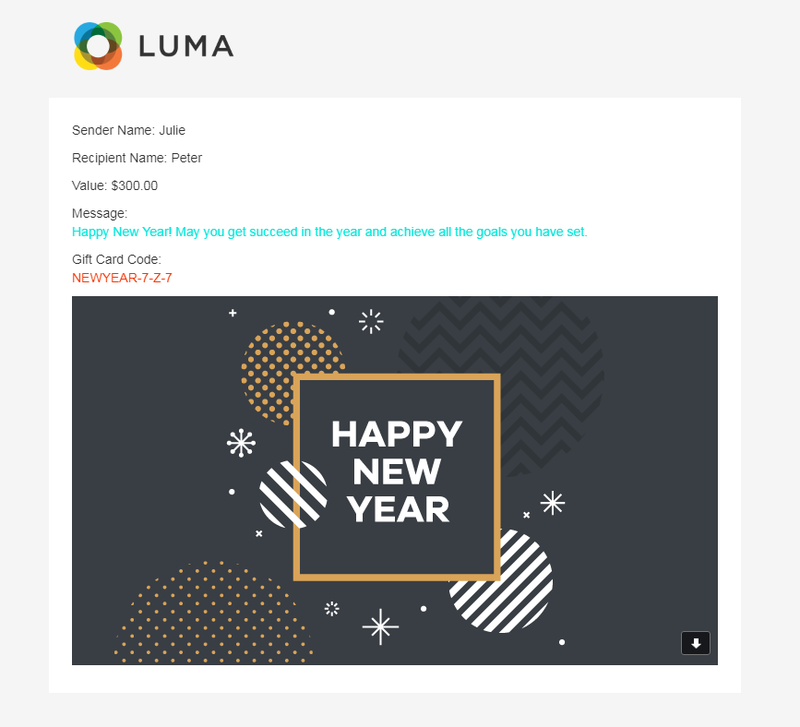 Besides, there are some special parts needed to set for gift card products including select image templates, gift code pattern, define expiry day of the gift code and especially gift card value. + Add dynamic prices, including Min and Max values to let customers enter a wanted one to buy. 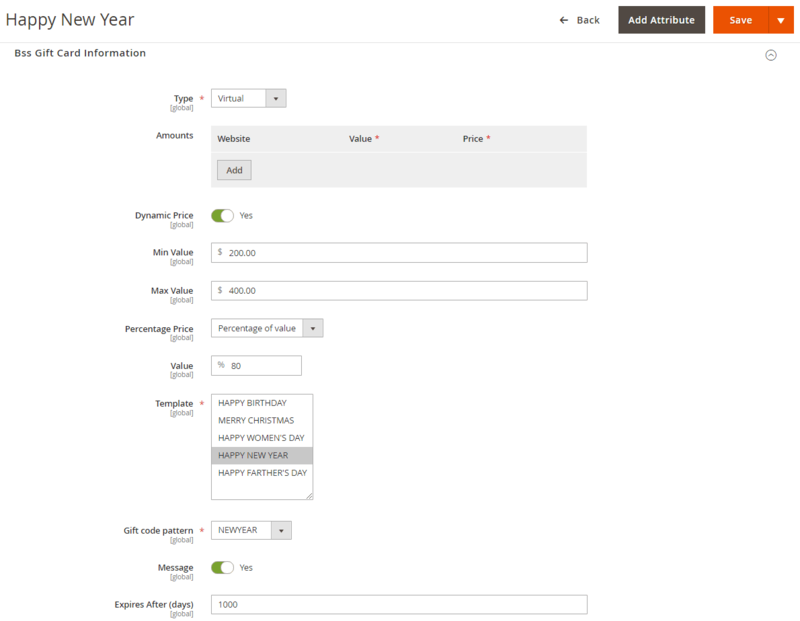 Admin sets a range of values and how gift card price will be calculated based on its value (same value or percentage of value). Gift code pattern (or gift code pool) is used to generate unlimited random codes for each gift card. You can create a number of automatic codes within some settings, then promptly check the generated codes right on the gift card pool page. 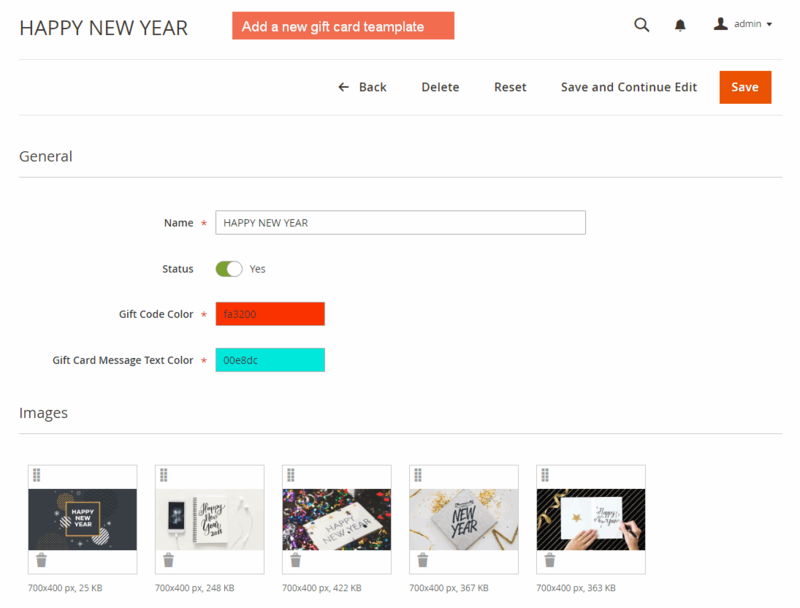 Magento 2 Gift Card extension allows you to create diverse templates for gift cards. 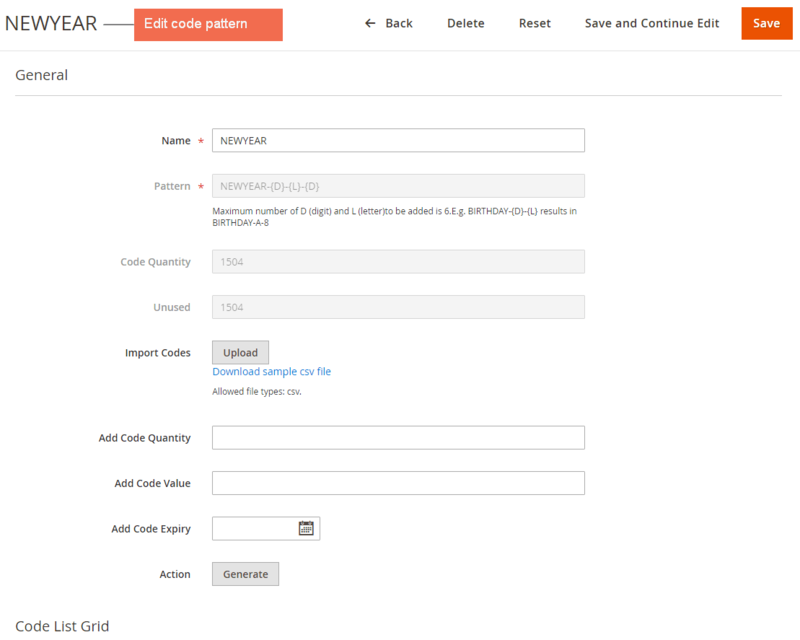 In each template, you are able to freely upload unlimited background images and customize code and message color as well. The gift code account page is created to manage gift code generated about status, value, expiry date and also detailed information of senders, and recipients. When the gift code is used, all transactions are also recorded and shown on this page. Highly recommend to purchase and have good experience! I took much time searching and comparing Gift card extensions because there are a lot of modules on the market and I couldn't make the final decision. Then luckily I found BSS extension, it may be not the most excellent but I think it is very suitable for every store. Its price is also more proper and affordable. When I had a problem and asked BSS support team, they were very enthusiastic and helpful to solve my issue, even useful advice.